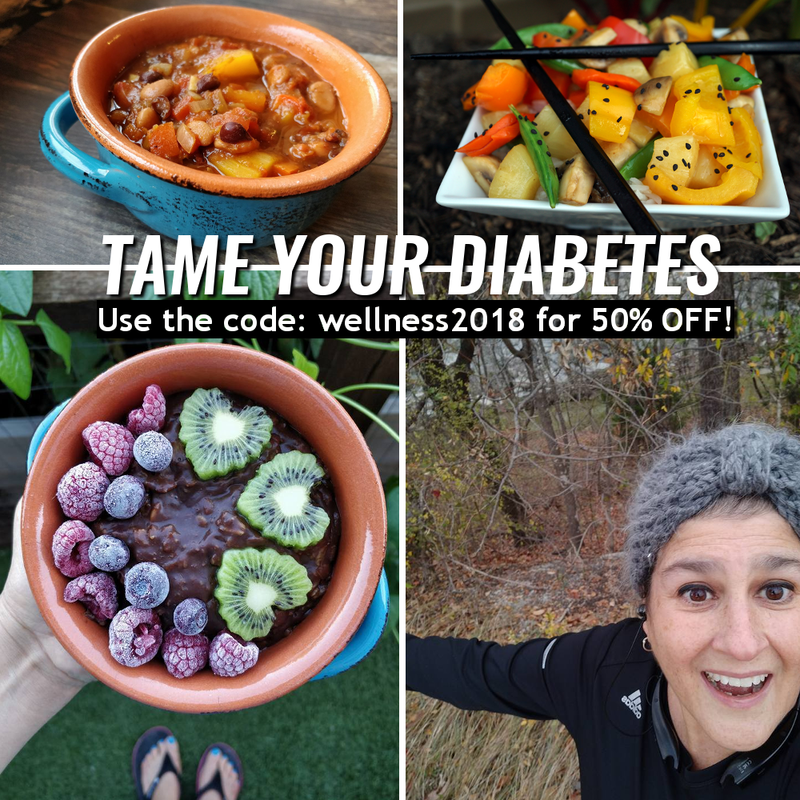 Get Off Your Meds for Type 2 Diabetes in 2018! If you have PRE-DIABETES or TYPE 2 DIABETES (or you simply love someone who does!) the answer to getting off medication and losing weight is the whole foods plant-based lifestyle. I know personally because over FIVE years ago, I was able to get off all medication and lose and keep off a significant amount of weight. And, I can't imagine living any other way! 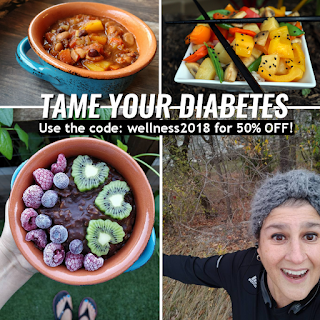 In my ebook, TAME YOUR DIABETES, I share my specific way of eating and living, and I want everyone to read it and BE INSPIRED! Through January 15, I am offering 50% OFF on my eBook--starting TODAY! Simply enter the code WELLNESS2018 when ordering!